BrandHPModelLaserJet Pro M1132 MFPPrinting MethodLASER All in OnePrinting Resolution600x600dpi. 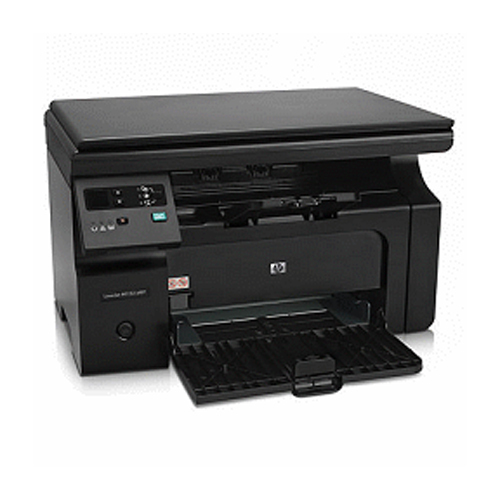 (1200dpi effective HP FastRes1200) Print SpeedBK: 18 ppmPaper Size PrintingA4; A5; ISO B5; ISO C5; ISO C5 / 6. ISO C6; ISO DL; 16K; European postcard Scanner TypeFlatbed Scan ResolutionOptical: up to 1200dpiScan Speed6 ppm (mono) Scanning Bit Depth24-bitCopy Speed18 ppm (mono) Copy Resolution600x400dpi black and white. 600x400dpi color (text - graphics) Copy Reduce / Enlarge Settings30-400% Memory Size8MBPaper Handling Input150 sheets Paper Handling Output100 sheets (face down Face Down) InterfaceHi-Speed â€‹â€‹USB 2.0 portCartridgeHP CE285A toner cartridge. yields 1600 standard pagesDimension (W x D x H) 415 x 265 x 250 mm.Weight7 Kg.Warranty1Y.